October is going to be a month in which we will see a lot of exciting smartphone launches like the Google Pixel 3 series, the Razer Phone 2, LG V40 ThinQ, OnePlus 6T and more. From past couple of years, we have seen that LG makes some really good phones (especially the flagships), but they go unnoticed due to the launch of flagships from companies like Samsung, Google, Apple, OnePlus, etc. This year’s LG G6 ThinQ is an excellent flagship with almost everything you want to see in one. It has a great display, a solid design, IP68 rating, good cameras, headphone jack, nice speakers, an OK-ish battery, Wireless charging and more. When the phone was launched in India for Rs 39,999, we were surprised since the price was one of the reasons why LG phones didn’t sell that well earlier. But now, the company knows that to compete with the phones from companies like OnePlus, they have to cut their profits and launch phones at much lower prices. On October 3, the company is launching LG V40 ThinQ. It is going to be the best flagship launched by LG in 2018, so we expect some really impressive features in it. It priced well, this could be one of the best Android flagships of this year. We already know how the phone looks like and what are its highlights but today, Evan Blass posted the official press render of the device on Twitter that confirmed all the details. 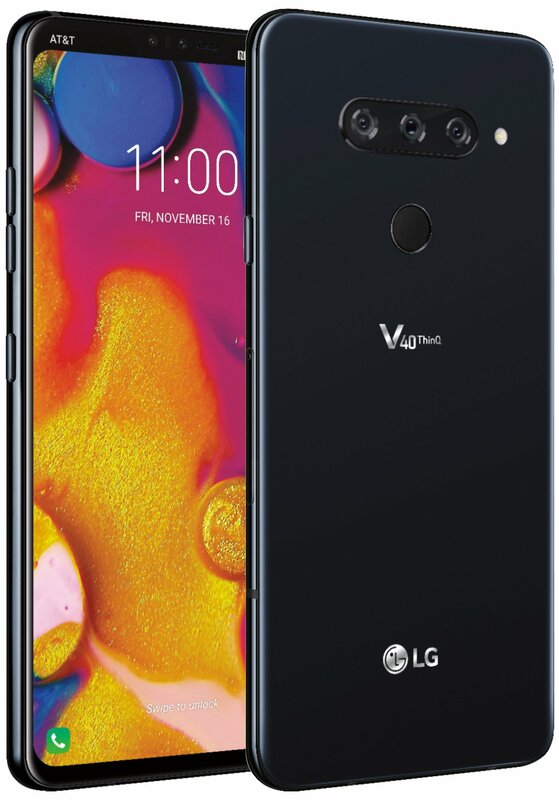 As the render above shows, the LG V40 ThinQ is the company’s first smartphone with a triple camera setup. It is not the first time we see a phone with triple cameras. Companies like Huawei, Samsung, Oppo, etc. have already launched phones with three cameras on the back. But, considering how well the cameras of LG phones perform, we expect some seriously good cameras on the LG V40 ThinQ. LG likes to add a secondary wide-angle camera on its dual camera phones, but this time, we expect an extra telephoto lens. Talking about the rest of design, there is a notch on the front, making it the first ‘V’ series phone from LG with a notch. Previously, we saw the notch on LG G6 ThinQ, and same is going to be the case with the V40 ThinQ. The volume rockers and a dedicated Google Assistant button are present on the left while the power button is on the right. The specifications include at least 6GB RAM, 64/128GB ROM, Snapdragon 845 processor, 3,300mAH battery & a P-OLED Quad-HD+ 6.4-inch display. On the rear, the phone has a triple camera setup – 12MP f/1.5 (1.4µm pixels) + 16MP f/1.9 (1.0µm pixels) + 12MP f/2.4 (1.0µm pixels). There are dual cameras on the front – 8MP + 5MP. Other features include IP68 rating, USB Type-C Port, Headphone jack, Quad-DAC, Boombox and more.